Here's what you need to know to improve your negotiating position even in the absence of competitive bids. It's no secret that at TechCaliber Consulting we believe competitive procurements for network infrastructure and services always deliver the best negotiated outcome. But we also understand that sourcing through a competitive process isn't always practical or possible. Many companies conduct "sole source" supplier negotiations (i.e., a sourcing that involves only one supplier with no competitive pressure to improve the terms, conditions, and pricing it might otherwise be inclined to offer, even to its most favored customers) for a variety of reasons. We frequently see sole sourcing for mid-term contract renegotiations, negotiations for specific technology products that have no acceptable/desirable alternative (negotiations with OEMs such as Cisco often fall into this category), and negotiations involving the addition of network services to an existing contract. However, a sole-source procurement should still involve a negotiation, and there are many ways you can improve your negotiating position with a supplier even if there aren't other suppliers around to exert competitive pressure. In any supplier negotiation, suppliers provide the price and terms they believe are needed to close the deal for the services/products you're requesting. Negotiating competitive pricing and terms with the limited leverage available in such sole-source negotiations can be difficult, with suppliers seemingly holding all the cards. But customers have some basic and often overlooked tools available to them to extract better deals from a single provider. Suppliers negotiating without competition will not necessarily try to rip their customers off, but they do offer different customers an eye-opening range of pricing and terms for the same services and products. The most significant driver for getting a good deal versus settling for a not-so-good one is how well, or poorly, the customer used available tools and leverage to prepare for and conduct its sole-source negotiation. Knowing and understanding your total relationship with the supplier -- Complex, multifaceted relationships with large IT suppliers mean that the supplier relationship within the customer's organization is "owned" by multiple stakeholders, financed across multiple budgets and, often, governed by different contracts. Having a full understanding of the total spend and portfolio of services provided by a supplier will help identify pockets of negotiation leverage to use. And know that on the other side, the supplier will undertake an equivalent analysis of its relationship with you, the customer, as a standard practice. Mastering the details -- Understanding the details of the services for which you're negotiating is crucial. This includes knowing information like existing unit pricing and the detailed baseline inventory/consumption of the services in scope for the negotiation. Not having a good understanding of exactly what you're negotiating to purchase is a quick path to a bad deal. Understanding your existing contract position -- Critical prerequisites to establishing your negotiating position are a clear understanding of the contractual commitments in place for the services you're negotiating to purchase; the relative status in satisfying those commitments; the period of time before the existing contract expires, and the options available to you at the time of expiration (such as contract renewal or entry into a so-called "transition period"); the notice obligations that apply prior to electing such options; and the specific terms or commitments that apply to individual services. Commercial contract terms such as these directly affect the negotiation leverage you do or don't have, and whatever the terms may be, you're better equipped for the negotiation when you know them in detail. After all, your supplier almost certainly will. Maintaining a good record of written communications -- In sole-source negotiations, which tend to be less formal than competitive sourcing processes, you can too easily fall into the trap of inadequately documenting the negotiation back and forth in writing, a failure that inevitably leads to avoidable misunderstanding and delays down the road. Accordingly, critical best practices to follow are requiring that suppliers submit proposals in writing (specifically, detailed offers that set out all the unit pricing and all associated commercial and legal terms, not merely PowerPoint decks generated by their sales or marketing departments that present an overall price reduction), providing your proposal feedback in writing, and following up all discussions with a written record of anything verbally offered or clarified by your supplier. An additional and important best practice prior to starting the negotiation is to set out the basis upon which you're prepared to do business. For example, specify the length of contract term/extension that you're willing to enter into; any commitment that you're willing to agree to (in particular where the existing contract already includes a commitment); and key financial terms that you wish to receive (such as existing credits that you expect to be replenished or maintained and/or one-time charges expect to be waived). This ensures that critical deal attributes are raised early in the negotiation to determine whether they're controversial or at issue; it also helps by providing a deal framework that focuses the parties' effort, rather than having too many deal issues, variables, and permutations that needlessly lengthen the negotiation. Developing a negotiation strategy that accounts for all the preparatory work described above and that will deliver an optimal outcome is also imperative. Simply jumping into the discussions without contemplating and planning how to position the negotiation with the supplier, and considering all the various negotiation leverage points mentioned above, won't deliver a best-in-class result. Strategies that leverage any wider relationship, outside of the specific services for which you're negotiating, and/or present the negotiation as a platform for future revenue growth for the supplier, can be effective. But, importantly, you must also present the implications of an unsatisfactory offer. 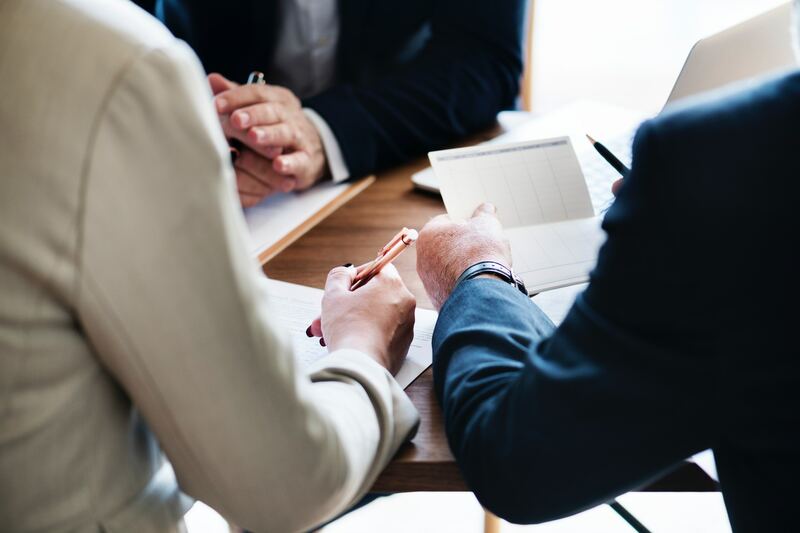 A supplier that is made to understand long-term implications of an inadequate offer -- i.e., damage to its relationship with you and to obtaining business from future growth -- can generate a more positive focus on the current negotiation. Suppliers know that customers aggrieved over contract extension negotiations or negotiations for new services are more likely not only to use a competitive procurement process in the future but also to move to new vendors. Supplier sales teams are usually motivated to keep their customers reasonably happy, and a customer can leverage this inclination to obtain a better negotiation outcome. Ultimately you need to demonstrate to the supplier that providing a highly competitive proposal will result in a win-win, whereas an uncompetitive proposal will lead to negative consequences for the supplier's relationship, and business, with your company. How effectively you convey this message has a material effect on the outcome of the negotiation. Lastly, leverage your executive relationships with your supplier. Having one of your senior stakeholders participate in a session with the supplier executives can be very helpful as suppliers typically react positively when management reinforces the issues and positions that you've been representing. Getting the timing of executive involvement right is important: It's better to call in the executives later in the negotiation when you're down to a smaller set of issues or when you need to overcome an impasse. It's also important not to overuse, because that dilutes the effectiveness.